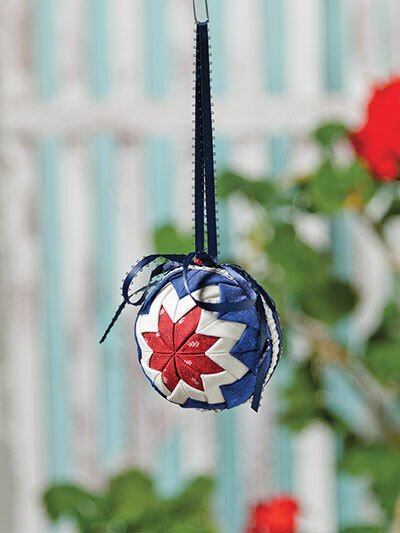 This no-sew ball ornament pattern will add to your festive cheer! 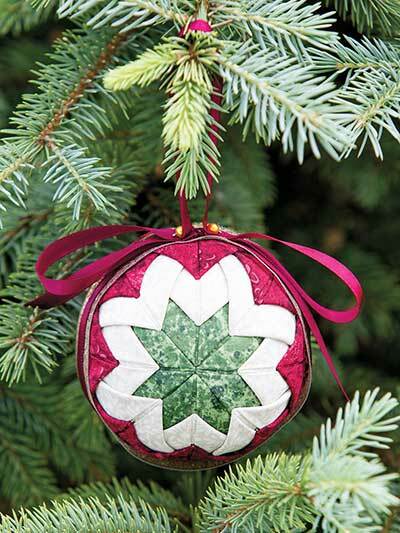 The complete no-sew pattern includes step-by-step photo diagrams and instructions to create a beautiful ornament for your Christmas tree, or just to decorate around the house. Perfect for kids and adults alike, you can finish this lovely design in about an hour. A Styrofoam ball (sold above) is needed to secure your pins. Finished size is approximately 1 1/2" x 2". I love this pattern and am already on my fifth one. I only make one an evening due to sore fingers even when using a thimble. I'm having a little trouble getting the star even so I put a button in the middle to help align it and then remove it. It takes me much longer than an hour but well worth the finished product. 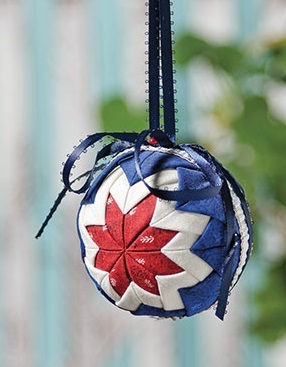 These are going to make beautiful Christmas gifts!! I love the results! Simple and only took me an hour to put this together. I wish the directions on making the hanger were better. I will make lots of these to be used as gifts for our family members and some for my friends too. I agree with Melodie S. I expected for the price to get more than one pattern. 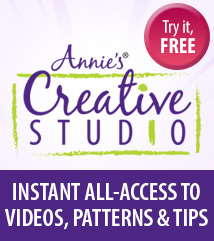 And I am disappointed that download patterns are not cheaper than patterns sent out by freight. I have always been satisfied with items I order from Annie's so this is a first for me. 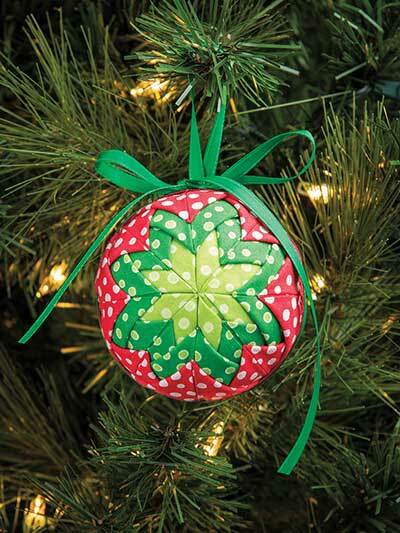 Get your patterns NOW for these beautiful, yet sew very easy project. Let your imagination go wild with the various color combinations. Many, many years ago I made these as gifts and they were beautiful! When I ordered I expected different patterns not just one. I was disappointed!